Once an actor takes the stage, he is forced to recite his lines. The audience is watching him, and though our leading man may understand more or less the character he represents and may even take a last glance at the script, once the curtain goes up it is time for him to play his role. Calderón de la Barca understood human existence pre-cisely from the standpoint of this dramatic dimension: man is forced to act, even though he still does not understand well the meaning of what he does, or the one for whom he does it. In the Great Theatre of the World the spectator is the Lord God himself, who sees the way in which each character represents a virtue or vice without yet understanding exactly what he is doing. Similarly, each man also finds himself on the stage of life having to interpret a character, i.e., himself, about whom he still does not understand many things. Now, if life is ours to fashion, and if neither script nor even a sketch is provided for us pointing out the way to proceed, how are we to accomplish anything beautiful or great in life? Does not affirming the absence of a script imply that everything is merely a grand enigma? And does not this enigma of life give rise to the specter of a great failure? If it is true that God has not written a script for any man’s life, it is likewise true that he has not left any man alone on the stage, at the mercy of life’s waves which may crash against the shore more or less vehemently in any given situation. The phrase the meaning of life is meant to bring man’s des­tiny into focus. When we use the expression “the meaning of life,” what we want to consider is what makes life true and good.3 We are not dealing here with just any truth, but with that specific truth about one’s life that makes it full and complete. Nor are we referring to a fullness that results from a chance success of greater or lesser importance, as often happens in the world of business. The river of life can never be filled with this sort of success, for while such success may be manifold, it is never enough to constitute a successful life taken as a whole.4 Moreover, it should not be forgotten that one might experience a unique fullness even amid failure, as did the Lord himself in his great fai­lure on the Cross. Man, in fact, cannot attain life’s ultimate fullness on his own, for it is offered to him as a gift. 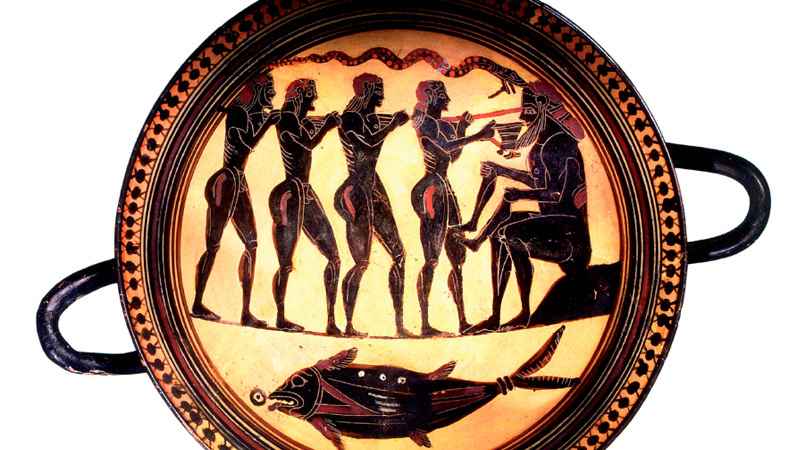 Long ago, Aristotle affirmed that happiness was the greatest gift the gods could grant to men. Questioning the meaning of life therefore involves as­king oneself what makes life full and happy, beyond the successes or failures that may occur, and which often do occur without any intervention on our part. Questioning what makes life full and happy, in turn, involves asking oneself what fills one’s actions and activities.5 Happiness is not the simple consequence of acting in order to satisfy one’s expectations and desires, but rather the very fullness that acting itself entails. 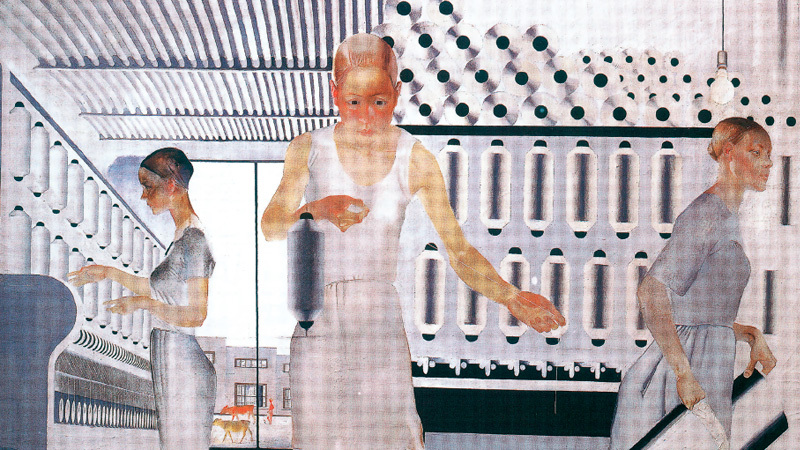 In his book Anarchy, State and Utopia (published in the 1960’s), Robert Nozik showed the absurdity of this way of thinking, by appealing to the example of the experience machine.6 He pinpointed the way to show that happiness is something more than satisfaction by imagining a ma­chine capable of satisfying every desire: anyone could plug in, but once you were plugged in, you could not get un-plugged. Who would want to plug into this sort of machine? And would not the fact of wanting to plug into this sort of apparatus be immoral? Why? Well, precisely because whoever plugs in would lose his sense of reality. What we desire, then, is not the mere satisfaction of our desires, but rather the reality of a life full of love, of relationships and of influence on others. What is it, then, that makes life full? Whence does the mea­ning that explains the telos, the perfection of a destiny, arise? The understanding of the telos of each man’s destiny cannot be gained simply through a study of nature. It is true that man’s rational nature points to a telos common to all men, inasmuch as there would be no human perfection unless it included understanding and freedom, dimensions specific to the human animal. It is only in knowledge and freedom that man may become the protagonist of his own destiny. But this is still too generic, and every person is unique and unrepeatable. What appears to be good for all may not appear so to the individual. What one society proposes as good and noble may not be so for another. And what parents propose as good to their children may not be seen as good by them. The meaning of life, i.e., what fills it with life and good­ness, has to be discovered by each man. And this can only happen if a person accepts that he must interpret everything that happens to him. For the meaning of life is unveiled precisely in the events that form it. As Macbeth makes his way with Banquo on their journey to Forres, he is startled by three witches who greet him with a most surprising message: “All hail, Macbeth, that shalt be king hereafter!”7 Macbeth, together with his friend, wonders about the meaning of this prophecy. However, it is only when he arrives home and speaks with his wife that he understands it and recognizes himself in the message. His wife, who is seized by ambition, will eventually convince Macbeth to act against the king in order that the prophecy might be fulfilled. And here is Macbeth’s mistake: rather than waiting for destiny progressively to unfold, he forces reality to fit the divination. These moments are ones of truly loving emotion, when a new fullness opens up before us that cannot be attained on our own, but rather only in the joyous company which is given to us, and which allows us to live in harmony. They also occur at those times when fear oppresses man and brings him to experience the magnitude of his destiny and the depth of his own frailty. And they include the occasions when we come to understand the gift that someone makes to the deepest part of man by his presence, creating inti­macy and filling the heart with joy; or even the moments when anger takes hold of the heart, when we see the evil of someone who is threatening those whom we love. Such love, such fear, such joy and such anger, together with so many other affections – hope or desperation, desire or dis­tress – are not mere states of mind, emotions without precise intentionality, or sentiments devoid of meaning. 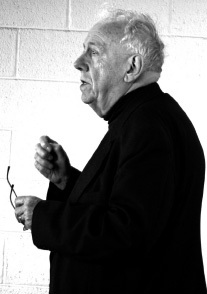 Alasdair MacIntyre10 has shown how modern reflection has led to an emotivist conception of man that reduces the person to the “emotivist self.” Who is this man? He is an individual who is incapable of providing any reasons for his conduct, since he has lost any sense of the meaning of the fullness and completion of the human person and of his actions. The Scottish philosopher offers a fitting analo­gy, which compares modern man to a castaway who finds himself shipwrecked on a deserted island. He sees pieces of the vessel that transported him make landfall on his island, but what good are these pieces without the idea of the ship, i.e. if he has never seen the ship as a whole? Any attempt to reconstruct the vessel would be impossible under such circumstances. Here, then, we have modern man, who has no idea who man is, in what his perfection consists, and who reduces everything to a radical choice of his own will, whose sole justification is tied to his experience. We find ourselves standing before a man fragmented in a thousand pieces; i.e., a thousand different affective moments incapable of offering any sort of intrinsic unity. But is this truly all that feelings are: fragmented moments of life, devoid of any meaning? They are, in fact, the exact opposite. For something decisive about man is revealed in the affections, which are experienced in the feelings and emotions. They, like the witches of the Shakespearean tragedy, have a decisive hermeneutic value in that they help man to understand himself, the meaning of his life, and what a true and good life really is, a life that is worthy of being sought; or on the contrary, what ruins life and makes it lose momentum. The affections are like “upheavals of thought,” to draw upon the beautiful image of the well-known American philosopher Martha Nussbaum.11 They permit us to go beyond ordinary everyday life and to look out upon the horizon. The destiny of every man is disclosed in his affections. Interpretation therefore entails looking for the teleolo­gy of feeling: seeing where it leads, and how it makes the fullness of life more or less possible. In order to interpret them rightly, we must first unders­tand that feelings have a teleology, that they are not meant to end in their own inner intensity. And to understand this, a youngster first has to know how to identify this dimension in others. Feelings arise as the fruit of events that happen in life. Man experiences love because a woman strikes him by her per­sonality and beauty; he experiences sadness when the one he loves slips out of his hands; and he experiences anger when someone threatens him. Affections, then, are something that happen within man but without him being able to decide on their being there: affections often arise without him being able to plan for them, avoid them or produce them. In this sense, they have something in common with magic, for they cannot simply be deduced by, or reduced to, reason. Their magic resides in their unpredictability. Yet when they do occur, then it is that a man is able to understand their reasonableness, for they have an inherent logos that goes well beyond their being experienced. At first a person understands this mechanism, not by experiencing it firsthand, but by looking at the stories of others. 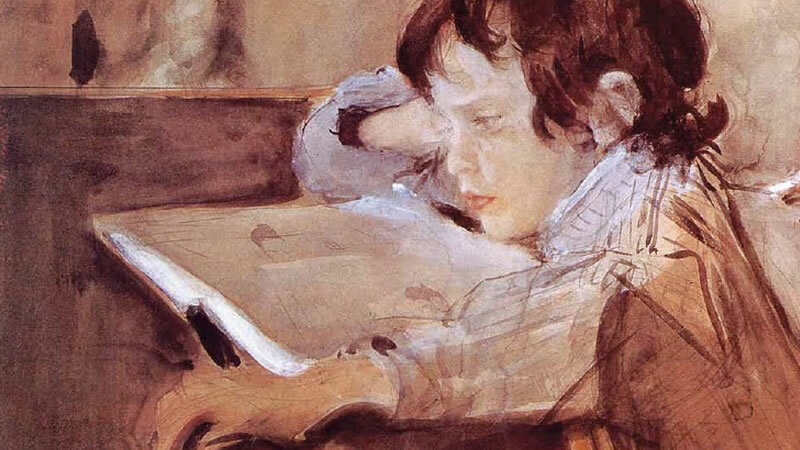 In the stories we hear as children, we begin to learn that the affections do not end once they are felt, since they generate situations that continue to play out in the story. The child does not yet have a sense of the duration of time or of the continuity of the person: for him everything seems to be spent in the intensity of what he feels; he is continually experiencing new and different things that have but one point of continuity: himself. The intensity with which fear or jealousy, love, hatred or anger present themselves seems to fill and determine the entire space, requiring his complete and immediate adherence. The child is accustomed to hearing stories from his pa­rents about animals, ancient heroes, or family and friends with whom he may identify. Though still young, he is able to understand how the fear that the soldier felt, and which led him to betray his nation, caused a true disaster for so many; or how Ulysses’ daring to push the limits and go beyond the Pillars of Hercules led to the sinking of his ship and to the death of all his companions. Or again, how Dante’s trust in his beloved moved him to allow himself to be guided along the most beautiful adventure toward heaven ever told, or how the courage of the lion king who, having conquered his fear and his desire to flee, brought peace to his land. but rather, that they lead to something that generates a new situation. And it is that something which may determi­ne the preciousness of the affections, or the lack thereof, according to the circumstances. The affections therefore have an intrinsic rationality, which points not only to mere satisfaction, but also to a fullness of the individual with respect to other persons. In dealing with fear, sadness, love, bravery, anger, the need for a response arises that opens to a life more or less true, not only for the individual but also for all those around him. This is how the affections cause a common good to emerge in which each of the different attractions acquires meaning. 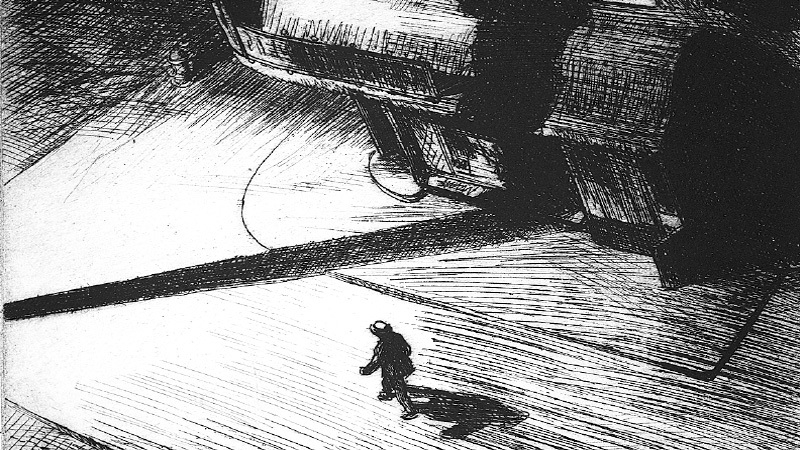 One of the great problems of modern storytelling is that, rather than allowing us to glimpse the whole, it only shows us a part, albeit with great intensity. In other words, today all the effort is focused on producing empathy in the spec­tator, in making him experience what the protagonist ex­periences, but without any reference to the meaning of this feeling,16 i.e. without reference to what makes the fullness of life more or less possible. However, reducing affections to feelings involves a great impoverishment, precisely because the affections do not appear clearly to reason: they remain largely hidden. With feeling, the important thing is what is experienced; it is the possibility of acting on the basis of what one experiences, unaware of the future and of what the balance in human relationships will be, which matters most. Today the stories presented by the mass media only show a fragment of the story. To a great degree, they invol­ve the viewer affectively, but they obfuscate the possibility of his opening himself to the totality of what the affection contains. Our purpose here is not to advocate uplifting stories that show us by their happy ending how to resolve difficult situations. What we are attempting to show is that, in order to interpret the affections rightly, we need to allow them to reveal their inherent intentionality rather than hiding the drama they bear. The problem is not that the media portrays violence and eroticism, but rather that they do so in a way that does not allow a person to understand their link, or lack thereof, to man’s destiny. It is only by making this horizon his own that a man will be able to understand whether an affection fragments his life, or instead provides him with a new principle of integration, as he pursues the beautiful thing that has been promised to him in the event of the encounter. showing the relationship between a concrete moment and a person’s global destiny. The outcome of Shakespearean theatre is also to be unders­tood in this light. Certainly these dramas have the particular power or bringing a passion to life on stage, but beyond this their great merit lies in their power to reveal the passion’s anthropological value, i.e. its capacity to render life truly full. Revenge is not what guides the whole of Hamlet. Rather, it is Hamlet’s dilemma over the meaning of a life in which he finds himself having to accept that his own father was murdered by his uncle, in connivance with his own mother, and that now, the very same uncle married her. The drama of revenge is the very need for justice. Hamlet will only be able live a full life by enacting justice; otherwise, his life is ruined and gone mad. His “to be or not to be” refers to an essential question of life, to what makes life human: one cannot live in the kind of relationship in which Hamlet finds himself. The stories a person hears throughout his life allow him, then, to get a first, external glimpse into the meaning of the great passions of life. They also provide him with an opportunity to identify himself to a greater or lesser degree with their heroes and characters. The first step is for him to understand that the affections do not end in themselves, and that because of this, he will need to know how to interpret them by distancing himself from the affective intensity which accompanies them. injustice, to the ambition, to the love, to the ideal that he finds in his life. Not to respond is already a response. Every man is an actor on life’s stage, and whether he likes it or not, he is playing a role. A man’s freedom is challenged and provoked by his affections. However, for freedom to respond appropriately, it has to understand the meaning of the affection; that is, the relationship between the affection and his fulfillment as a human person. And here we come to the point: a man will never unders­tand this relationship if his free will does not wish to be engaged. What comes first, then, meaning or freedom? If it is true that the meaning of an event challenges and provokes our freedom, it is equally true that one who is unwilling to act cannot understand. To solve the mystery, we need to introduce a new element that explains the ultimate root of human freedom. What moves our freedom to become involved in this pro­cess? Freedom will only make this step if it receives love, if it understands the love that is at play. It is love that awakens freedom, that embraces it and that renews it from within. Therefore, there is a hermeneutic circularity between the event, freedom, meaning and love. Love is the new element that allows us to understand freedom’s dynamism. The stories we listen to can certainly help, but in order truly to understand, we need to be able to perceive the love that is at play; i.e., the love that touches the heart of man and calls him to something beautiful and great. Within this context, praxis emerges as a qualifying element of truth: not because praxis produces truth,19 but because we are dealing with the truth that touches life in its inner core and which man can understand only if he sets out on the journey. The importance of a child’s surroundings (and their centra­lity in helping him grasp the meaning of life) now begins to emerge. These surroundings consist in a collection of irrevocable relationships that cannot be modified without the persons involved changing as well. Intergenerational relations, fatherhood and motherhood, childhood, fraternal bonds, and the relationship between spouses: these are the relationships that allow family members to offer one another irrevocable love based not on the pleasure of the moment or on the satisfaction that the other offers, but on a sharing of life’s fullness, on the communion of persons. This is the context in which a child or youngster is also vulnerable to a whole set of interpersonal relationships that affect and challenge him. However, because these relationships are based on irrevocable love, they allow the meaning of the affections they generate through daily encounters and skirmishes to emerge.22 The child is called through these events to take responsibility for his own actions and to interpret his own role. He cannot hide behind the fact that he does not unders­tand the meaning of what is happening, because everyone around is continually reminding him of similar stories, and is asking for his own free response, so that the fullness of family life may be theirs. It becomes immediately apparent in family life that the affections do not end in themselves, and that, if it is important to feel them – indeed, if it is beau­tiful feel them – still everything is not confined to feeling. For in order for family life to go on, all of its members need to act and to build, and not only to feel. him to open himself to trust and to act for the sake of the common good, by shaping his desires as never before, so that these very desires stably direct him toward the excellence of behavior that truly fulfills life. The teleology of love, and the stories that are handed down from one generation to another, allow the meaning of the affec­tive event to emerge. Education (and the communica­tion of meaning it involves) is not simply a matter of passing on in­formation about values. Educating in values is important, but it has its limits: for it is one thing to learn to appreciate a symphony and quite another to play the violin. 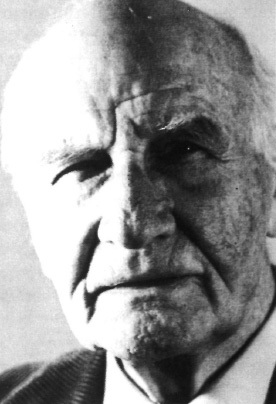 The great teacher in values, Max Sche­ler, said of himself as he reflected on his own inner difficulties and the ruin they caused in his life: “I will never forgive God for having made a beast like me.” Communicating mea­ning therefore means offering a space and a place in a true relationship. But are things really this way? Dear Macbeth, you did not interpret well the witches’ saying and, seized by your own ambition, you thought that you had to realize your own destiny. However, destiny is not fulfilled only through the work of one’s hands. And, above all, one’s destiny is never realized by bloodying one’s hands. You lacked a context of true love to interpret well the witches’ words. You perceived as an echo the voice of your wife, who like you was drunk with ambition. You lacked an authentic communion of per­sons that would have allowed the meaning of something beautiful to emerge. We can neither understand nor mold meaning by oursel­ves. It emerges through events, but only within a context of communion, and only if we are provoked and challenged to interact for the sake of the common good. On the stage of life, we will understand what role we are to play if the persons with whom we interpret the drama live out the grandeur and greatness of their relationships in true com­munion. For it is here that the horizon of fullness that gives meaning to our representation of life emerges. 1 Cf. S. Kampowski, Arendt, Augus­tine, and the New Beginning: The Action Theory and Moral Thought of Hannah Arendt, Eerdmans, Grand Rapids 2008. 2 Cf. Gregory of Nyssa, De vita Moy­sis, II, 2-3: PG 44, 327-328; cited from Veritatis splendor, 71. 3 Cf. L. Melina – J. Noriega – J.J. Perez Soba, Camminare alla luce dell’amore. I fondamenti della morale Cristiana, Cantagalli, Siena 2008, I.1.3. 4 Cf. G. Abbà, Felicità, vita buona e virtú, Las, Rome 1991. 5 Cf. G. Abbà, Quale impostazione per la filosofia morale?, Las, Rome 1996. 6 Cf. 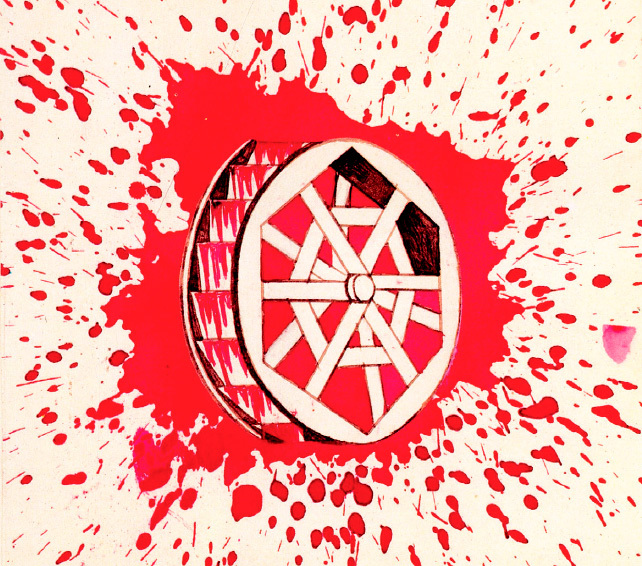 R. Nozik, Anarchy, State and Utopia, Basil Blackwell, Oxford 1968. 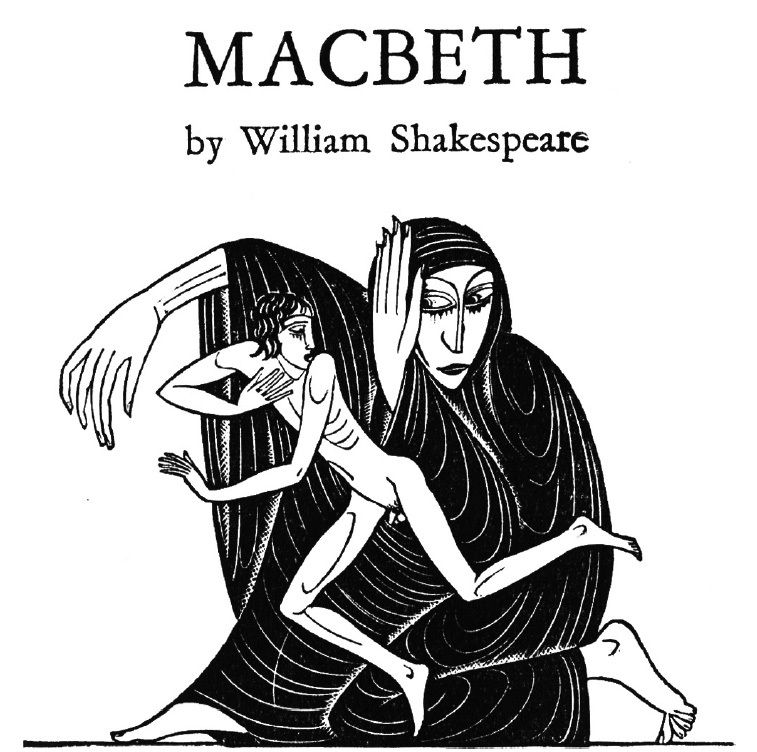 7 W. Shakespeare, The Complete Works, “Macbeth”, Act I, Scene III: 1102. 8 Cf. A. Ruiz Retegui, “La esperanza y la afirmación del present,” in J. M. Casciaro et al (Ed. ), Esperanza del hombre y revelación biblica. XIV International Theological Syposium at the University of Navarre, Eunsa, Pamplona 1996 233-252. 9 Cf. J. Noriega, “La scintilla del sen­timento e la totalità dell’amore”, in L. Melina – C. A. Anderson, La via dell’amore. Riflessioni sulla encicli­ca Deus Caritas Est, Rai-Eri-Istituto Giovanni Paolo II, Rome 2006. 10 After Virtue, Duckworth, London 1981. 11 Cf. M.C. Nussbaum, Upheavals of Thought: The Intelligence of the Emotions, Cambridge University Press, Cambridge 2001. 12 Cf. D. von Hildebrand, The Heart: an analysis of human and divine affectivity, St. Augustine’s Press, South Bend 2012. 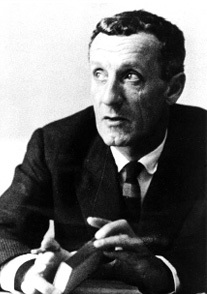 13 M. Merleau-Ponty, Fenomenologia della percezione, Il Saggiatore, Milano 1965, 487. 14 Cf. V. Soloviev, Il Significato dell’amore e altri scritti, La Casa di Matriona, Milan 1983. 15 Cf. J.J.Pérez Soba, “Risvegliare un senso nell’esperienza,” in J.J. Pérez – O. Gotia, Il cammino della vita: l’educazione, una sfida per la morale, LUP, Rome 2007, 115-137. 16 Cf. T. Dixon, From Passions to Emo­tions. The Creation of a Secular Psychological Category, Cambridge University Press, Cambridge 2003. 17 Cf. P. Ricoeur, Soi même comme un autre, Seuil, Paris 1990, 167- 198. 18 Cf. W. Jaeger, Paideia. La forma­zione dell’uomo Greco, La nuova Italia, Florence 1943. 19 Cf. L. Melina, Azione: come epifa­nia dell’amore, Cantagalli, Siena 2008, 113-128. 20 Cf. J. Noriega, “Verso la pienezza: gradualità e crescita nella carità,” in J.J. Pérez Soba – O. Gotia, Il cammino della vita: l’educazione, una sfida per la morale, LUP, Roma 2007, 249-271. 21 Plato, Letters VII, 341 c-d.
22 Cf. J. Larrú, “La Famiglia e l’educazione moral virtuosa,” in J. J. Pérez Soba – O. Gotia, Il cammino della vita: l’educazione, una sfida per la morale, LUP, Roma 2007, 325-341. 23 Cf. A. MacIntyre, Dependent Ratio­nal Animals: Why Human Beings Need the Virtues, Open Court, Chicago 1999. 24 Cf. F. Pesci, Rischio educativo e ricerca di senso, Aracne, Rome 2007. But especially: F. Pesci, Desideri, beni, virtù, felicità. La teoria mimetica di René Girard e l’educazione contemporanea, Lithos, Rome 2010. In a second step, I shall consider a brief philosophical ob­servation and an equally brief theological reminder about the university’s third dimension. In a concluding third step I will conclude that leisure and paideia are the two practices that keep the soul of the university alive and that will assure that the university qua university will continue to matter even under the specter of a comprehensive functionalization of the late-modern university—especially after the disenchantment of secular reason. Describing and understanding the de facto development of universities in historical, sociological, and political terms is one kind of thing. Making sense of the university qua university on intellectual terms is another thing. I am pursuing only the latter here, and the presupposition of my talk is that the ideal reflected in Aquinas’s thought, and echoed to some degree under con­siderable different conditions in John Henry Newman’s 1852 Dublin lectures on The Scope and Nature of University Education, is far from obsolete. On the contrary, this ideal constitutes the corrective reminder and salutary challenge and is as such a program, I submit, superior to the Enlightenment model of the university as a place of advanced training in useful com­petencies, superior well to the Berlin-type and the Weberian version of the late-modern research university. For all these later models share the deficiencies of modernity; that is, they regard the university’s third dimension as dispensable and, if maintained, as at best a supererogatory concession to a luxury admitted for purely sentimental reasons, namely as one expe­dient way to honor the university’s pre-modern roots. Let me expand upon what I mean by the third dimension. In 2006, as an octogenarian, the philosopher Benedict Ashley published a simply remarkable book, a model of interdiscipli­nary rigor and comprehensiveness, The Way toward Wisdom: An Interdisciplinary and Intercultural Introduction to Metaphysics. Let me use his words to amplify this idea of the university’s third, integrative dimension. The search for wisdom characterizes the university’s third dimension and realizes the university qua university in a strict and proper sense. Hence, the university’s third dimension functions as critical norm that puts into stark relief strong ten­dencies—not recent in the origin, but recently gaining remarka­ble momentum—to reduce the university to a polytechnicum with a largely functionalized propaedeutic liberal arts appendix, this polytechnicum being largely an accidental agglomeration of advanced research competencies gathered in one facility for the sake of extrinsic and contingent convenience. If this trend should come to its logical term, if indeed each of these ad-vanced research competencies could be located elsewhere, that is, be directly linked to hospitals, to biochemical and computers companies, or to this or that branch of the military-industrial complex, without any lost, then the university in any substantive sense would have disappeared; and to still call what remains a university would be simply an equivocation, undoubtedly useful for reasons of branding and marketing, but hardly for reasons of substance. 1. It is hard to imagine a gulf deeper than the one that currently exists between those academics who regard reason in terms of utmost triumph and those who regard it in terms of utmost despair. Mathematically disciplined and technolo­gically executed, human reason has transformed the globe in unprecedented ways. The academic disciplines based on reason’s mathematical and technological acumen hold a robust trust—if not faith—in reason’s capacity to grasp reality and, precisely because of this grasp, successfully to conform the world to human interest and needs. Paradoxically, we can register a simultaneous widespread sense of despair about reason’s superior status and role. Instead of sovereignly guiding human affairs to their clear, defined, and well-considered ends, reason seems to be a little more than a coping mechanism or a regulative fiction driven and directed by instincts and desires it can hardly perceive, much less rule. The academic disciplines that traditionally draw upon reason’s reflective, integrative, and directive capacities— and exercised by humanity in the act of understanding and interpreting both world and self—seem to have fallen into a state of internal disarray while finding themselves exiled into what by all accounts seems to be a state of permanent marginalization within the late-modern research university. Reason triumphing in the form of instrumental rationality has produced its own demise as famously analyzed in Max Horkheimer and Theodore Adorno’s Dialectic of Enlightenment. «Instrumental rationality and ontological nihilism seem to be two sides of the same coin. What is eclipsed in between is this question of truth. Because reason seems to have become incapable of attaining truth, it has to assert itself instead in the gigantomaniac demonstration and celebration of its instrumental effectiveness, its will to power. The prophet of this dynamic has been Friedrich Nietzsche. While Nietzsche was greatly disillusioned with the nineteenth century Berlin-style university, the late-modern, secular research university with its strong pragmatic and anti-metaphysical bent is more profoundly committed to some Nietzschean tenets that it seems to be aware.» Edward Hooper, Night Shadow, 1921. There exists neither “spirit,” nor reason, nor thinking, nor consciousness, nor soul, nor will, nor truth: all are fictions that are of no use. There is no question of the “subject and the object,” but of a particular species of animal that can prosper only through a certain relative rightness; above all, regularity of its perceptions (so that it can accumulate experience). Knowledge works as a tool of power. Hence it is plain that it increases with every increase of power. The meaning of “knowledge”: here, as in the case of “good” and “beautiful,” the concept is to be regarded in a strict and narrow anthropocentric and biological sense. In order for a particular species to maintain itself and increase its power, its conception of reality must comprehend enough of the calculable and constant for it to base a scheme of behavior on it. 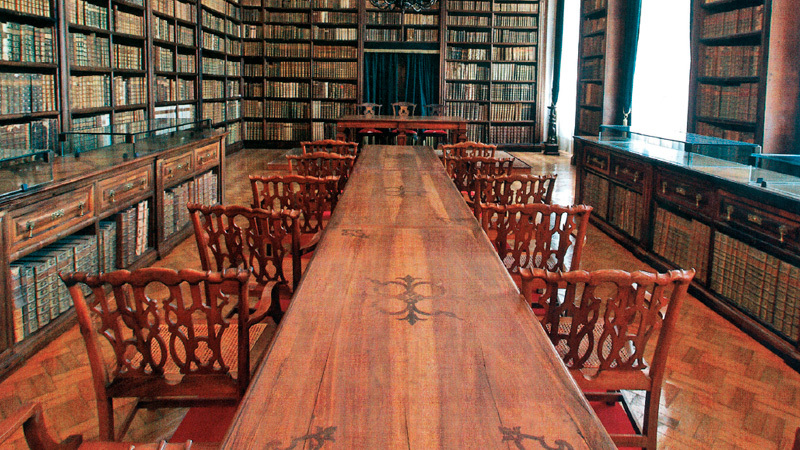 The utility of preservation—not some abstract-theoretical need not to be decided—stands as the motive behind the development of the organs of knowledge—they develop in such a way that their observations suffice for our preserva­tion. In other words measure of the desire for knowledge depends upon the measure to which the will to power grows in a species: a species grasps a certain amount of reality in order become master of it in order to press it into service. What would the kind of university look like in which Nietzsche’s understanding of the human being took hold, at least tacitly, of its self-understanding? This brings me to another segment of snapshot. 2. A university in which Nietzsche’s understanding of human being took hold would be, to say the least, profoundly ambivalent about itself—and remember, the best strategies to cope with ambivalence in matters of substance and teleology is quantification of metrics, instrumentalization, and manage­ment. It would also be a place in which philosophy would share an unequivocally marginal position with the other humanities, in which what once were the “liberal arts” would be characteri­zed by curricular fragmentation and even disarray, and a place in which the biotechnological science would display an almost uncontrollable—should I say cancerous? —growth. Such a “university” —I put the «In the speech for Rome´s La Sapienza University, Benedict pointed to the self-deception of secular reason. “If our culture seeks only to build itself on the basis of the circle of its own argumentation and what convinces it on the time, and if—anxious to preserve its secularism—it detaches itself from its life-giving roots, then it will fall apart and disintegrate.” Like late-modern society, the late-modern research university lives from intellectual and moral sources it cannot account for, let alone produce. The university’s third dimension, however, seems to depend precisely on such intellectual and moral sources.»word into quotation marks—would be first and foremost a highly sophisticated problem-solving machine at the service of those who are able and willing to pay for its service. In different, that is, more positive Benthamian terms: the late-modern research universities as they can be found across the globe are by and large institutions geared first and foremost to producing knowledge by way of highly specialized research (primarily in the natural and medical sciences), knowledge that is meant to serve interests that almost exclusively arise from the practical and technical needs and demand of the kinds of societies in which these universities are located. In a secondary way, these universities are geared to communicate this knowledge in order to produce specific competencies in their graduates. The undergraduate’s educa­tion—most lately blatant in Europe’s new Bologna system—is increasingly functionalized toward the acquisition of marke­table skills and competencies. Added to these clearly defined, specialized competencies comes to stand an equally well defined set of so-called “Rahmen-Kompetenzen,” framework competencies. For it must be ensured that future Einsteins, Hawkings, Wittgensteins, Habermases and Auerbachs know how to lead effective small groups discussions, can organize laboratory teams, and prepare compelling Power-Point pre­sentations. It was none other than Newman, who in his lectures on The scope and nature of the university—lectures more relevant than ever, I dare say—more than 150 years ago anticipates the specter of the late-modern research university. He discerns its seed in the scientific method of another of its founder fathers—Francis Bacon. But in the course of 150 years since Newman’s rather friendly characterization of the Baconian university, things have become considerably graver. For late modernity, that is, a thoroughly secularized and increasingly fragmented moderni­ty, has now lost its optimistic élan and instead has become tired and cynical. In the agnostic world of irresistibly corruptible, interminably quarrelling, and tirelessly consuming bodies, hence a world in which the greatest dangers are disease, litiga­tion, and the inability to consume, the hierarchy of university sciences stands in service of the avoidance of these evils: at the top stands the medical school supported by all the biomedical sciences, followed by the law school and the business school supported by their respective auxiliary sciences, first and fo­remost computer science and mathematics, but also any useful remnants of the liberal arts. And since it has been discovered that allegedly religious practice might contribute health and longevity, the gods are making a come-back, of sorts—now as an appendix to the medical school! What the Pope indicts here is the unexamined negative framework of a secular reason— uncritically reductive and, in the end, unscientific because it is unhistorical and antiher­meneutical—as the everyday default working paradigm for the self-understanding of the university qua university. It is interesting, to say the least, that the Pope’s concern is echoed in unexpected and surprising ways among those of the post­modern avant-garde who have come to realize that “secular reason” is a figment unable to account for itself let alone the comprehensive nature of the university as universitas. Now to the final segment of my snapshot of the late-modern research university. Fish’s analysis of Smith’s argument rings true. For every university reflects unavoidably to at least some degree the culture it arises from and operates in. 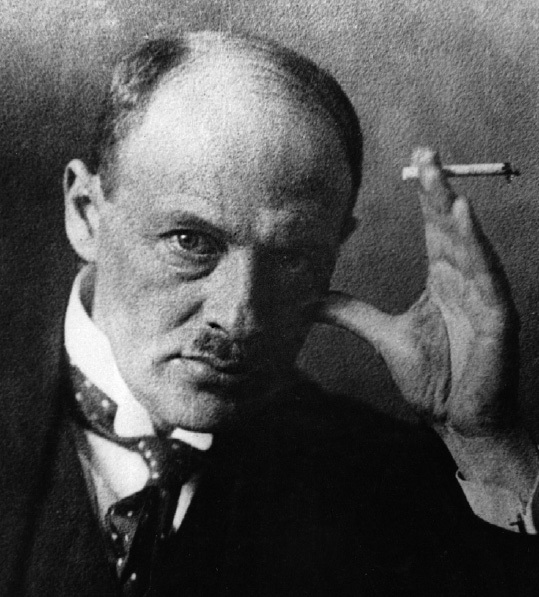 The late-modern research university has to a large degree embraced the «In Leisure: The Basis of Culture, the German philosopher Joseph Pieper reminds us of this all-important correlation: Strictly speaking, a claim for academic freedom can only exist when the “academic” itself is realized in a “philosophical” way. And this is historically the reason: academic freedom has been lost, exactly to the extent that the philosophical character of academic study has been lost, or, to put it another way, to the extent that the totalitarian demands of the working world have conquered the realm of the university. Here is where the metaphysical roots of the problem lie: the “politicization” is only a symptom and consequence. And indeed, it must be admitted here that this is nothing other than the fruit… of philosophy itself, of modern philosophy!»assumption of secular reason and is committed to serving an allegedly sha­red, non-partisan discourse of “public reason,” with its many unquestionable and indeed staggering accomplishments. This, however, is an illusion and, a disastrous one at that. For inside the self-imposed limitations of “secular reason” the university qua university becomes unintelligible to itself. All it can be for “secular reason” is a convenient agglomeration of facilities and competencies proximate to each other, branded and marketed under one single name, but each receiving its justification in light of distinct and largely incommensurable needs from vastly varied segments of advanced, diversified, and techno­logically driven society. “Secular reason” has intentionally cut itself off from the intellectual and moral sources that would allow it to acknowledge and advance the overarching teleology that gives intrinsic value to the university as such: the mind being ordered to truth and the corresponding search for truth and the ordering or these truths—which is the task of wisdom. In the same speech for Rome´s La Sapienza University, Be­nedict pointed to the self-deception of secular reason. “If our culture seeks only to build itself on the basis of the circle of its own argumentation and what convinces it on the time, and if—anxious to preserve its secularism—it detaches itself from its life-giving roots, then it will fall apart and disintegrate.”8 Like late-modern society, the late-modern research university lives from intellectual and moral sources it cannot account for, let alone produce. The university’s third dimension, however, seems to depend precisely on such intellectual and moral sources. What Is the University’s “Third Dimension” About? The third dimension is the unifying dimension that offers an integrative and ordered view of the first two dimensions and hence enables coherence, order, and evaluation—and pe­dagogically paideia. It is the dimension of “meta-science,” of a unifying and integrating inquiry that transcends each particu­lar science and the acquiring of specific competencies. It is an inquiry that attends to the whole, to the order and coherence of all science, to its governing principles, and hence to the uni­versity as a self-conscious and coherent search for truth and wisdom, forming an ellipsis around two foci: the universe and the human being. The third dimension, the depth-dimension, offers internal coherence to a university education and realizes the university in a strong and proper sense. Whatever makes a university sill a somewhat, even marginally, coherent reality is parasitical on this third, depth dimension. Inasmuch as the late-modern research university embraces “secular reason” as its dominant mode of self-understanding and of meditation, it closes itself off from this third dimension and restricts itself to the two-dimensional plane of the production of knowledge. I would like to highlight two features of this third dimension by way of a philosophical observation and a theological reminder. In this pregnant passage, as well as elsewhere in his essay, Fish seems to suggest the return of metaphysics by way of the resurgence of two ultimately irrepressible realities: teleology and transcendence of human reason. What is the gesturing toward? Instead of entering a protracted discussion of these deep matters, let me take a shortcut by offering two citations of placeholders. First, MacIntyre says in God, Philosophy, Uni­versities that “the ends of education… can correctly develop only with reference to the final end of human beings and the ordering of the curriculum has to be an ordering to that final end. 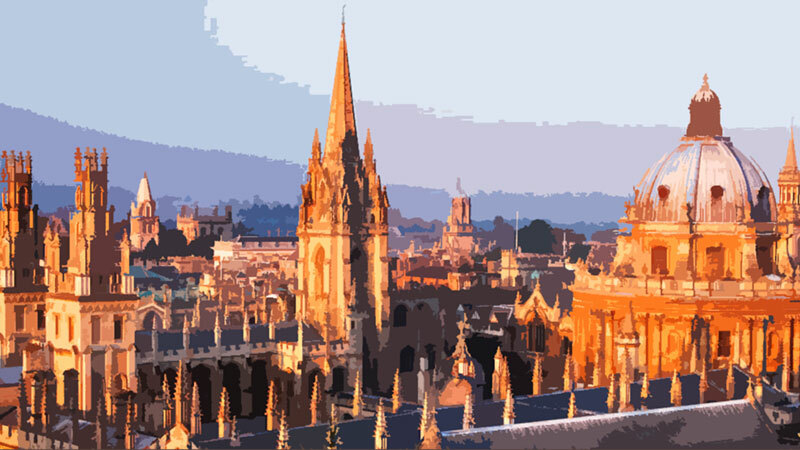 We are able to understand what the university should be only if we understand what the universe is.”10 In short, if the university is to be coherently a university in the full sense of the term, it needs to embark upon inquiries that depend upon principles that “secular reason” can neither produce nor account for. Instead of modern philosophy, Pieper could as well have said “secular reason.” His point is that true academic freedom is a freedom that is realized fully in the university’s third dimension, a dimension that is accessible from each univer­sity discipline. Differently put, the integrating and ordering function of the third dimension is not extrinsically imposed upon the various academic disciplines but arises from what Pieper calls the “philosophical” character of academic study per se by way of which each discipline transcends itself in the very pursuit of its distinct subject matter. On one level, the most fundamental one from a theological point of view, Newman is right: liberal education is meant not for the cultivation of the saint, but for the cultivation of the intellect; the university is meant for the excellence that cha­racterizes the saint. The gentleman Newman invokes should, I think, be understood as an intellectually well-formed socially competent person. But here I think Newman is granting a point tacitly that at other instances in his work he was willing to support explicitly: that paideia, the formation of character, is integral to a university education. For, arguably, the forma­tion of intellectual virtues occurs best in conjunction with the formation of character; differently put: a deficient or absent character formation complicates or even obstructs the proper formation of the intellectual virtues. Because the virtues of the mind—development of which is integral to the university’s third dimension—cannot be di­vorced from the formation of character, that is the formation in the moral virtues, we can now specify more clearly the twofold way in which the university matters, especially after the disenchantment of secular reason. This brings me to the final part of my article. I do not indulge in the illusion that one can save the univer­sity in one sabbatical, let alone in the course of a single article. But one can begin to think in different ways about different things and ask different questions. The university is a privile­ged place, a precious institution, and it is a great honor to teach in this institution: it is an institution that matters greatly, but cut off from its own intellectual and historical roots, from nor­mative philosophical and theological traditions, it has largely forgotten it actually matters. It matters because of the truth and because the human being is made for the truth. That is the surpassing dignity of the human being in which the dignity of the university participates. To ask secular reason’s dismissive question, “What is truth?” is to lose the dignity of the human being as well as the dignity of the university. What would it mean to recover this dignity in full? As I mentioned in my introduction, two practices are essential for its full development and flourishing: leisure or school and paideia. The practice of leisure has as its intrinsic end the integration of the sciences, the contemplation of the whole, in short, the search of wisdom. The practice of leisure is the only practice that allows something like the self-reflexivity of the univer­sity as university. (The integration thus brought is, however, radically different from the kind of interdisciplinarity that is meant to produce just another kind of data, another kind of useful knowledge to be applied here or there). Second, the practice of paideia aims at an integral human formation of character, the formation of the intellectual virtues in conjunction of the moral virtues. There is no paideia without leisure, and true leisure flourishes in paideia. Let me turn to paideia first and begin with an unlikely voice of concern. In his 2004 novel, I Am Charlotte Simons, Tom Wolfe offers a trenchant exposé of contemporary American univer­sity life that only seems to confirm Newman’s position about contending against “the passion and the pride of man.” While describing the drug-abuse, alcoholism, and sexual promiscuity that characterize late-modern secular American college and university life, Wolfe clearly also seems to expect more from colleges and universities than simply to mimic the cultural and moral destitution of the wider society. In a conversation with an interviewer, Wolfe said that he deplored the fact that “with a few exceptions, universities have totally abandoned the idea of strengthening character.”13 Are Wolfe’s expectations of the idea of the late-modern university hopelessly naïve, outmoded, and ultimately utopian or might they reflect some understanding of the connection between character formation and the pursuit of wisdom? It is noteworthy and should give those who care about these matters pause that on this very point the Thomistic students of Aristotle and the Augustinian students of Plato are in full agre­ement, and that, therefore, Benedict XVI shares Tom Wolfe’s expectation of character formation to be an integral component of a university education that serves that name. On September 27, 2009, in his address to representatives of the members of the academic community of the ancient Charles University in Prague, Benedict states: “From the time of Plato, education has been not merely the accumulation of knowledge and skills, but paideia, human formation in the treasures of an intellectual tradition directed to virtuous life… The idea of an integrated education, based on the unity of knowledge grounded in truth, must be regained.”14 How this paideia is exactly to be unders­tood needs further development. What seems obvious is that in order to engage in the pursuit of the unity of knowledge— wisdom—one must be formed in those intellectual virtues requisite for such pursuit to be successful. Less obvious is the correlation between the formation of the intellectual virtues and the formation of the moral virtues. In Aquinas’s doctrine of the cardinal virtues, prudence holds a principal position, for it is the one intellectual virtue that cannot be without moral virtue.15 Hence, like Newman, Aquinas can also account for the brilliant scoundrel. For prudence does not belong to those intellectual virtues that perfect the speculative intellect for the consideration of truth. But, unlike Newman, classical paideia and also Thomas expect from an university education more than the perfection of the strictly intellectual virtues; for the end of a proper liberal arts education is the pursuit of wisdom. And the pursuit of wisdom entails not only the refinement of habits of thought but also the habits of action; both pertain to the end of the human being. It is for this reason that paideia is integral to the pursuit of wisdom. And since prudence is the intellectual virtue that perfects reason pertaining to things to be done,16 the practice of paideia entails first and foremost the formation of prudence. Paideia entails also the formation of other virtues such as truthfulness, studiousness, persistence, humility, collegiality— ordered and structured by temperance, that is, self-restraint, as well as by courage and justice. But what correlates paideia to the other central practice, leisure, is indeed prudence. Here we have the virtue that integrates both core practices of the university’s third dimension into the concrete life of each stu­dent—and forms the matter, of each professor, too. Which brings us finally to the practice of leisure or scholē— the practice of a non-productive productivity. Differently put, the productivity in which leisure reaches its term—contempla­tion—remains essentially intrinsic to the practice of leisure. It cannot be functionalized for some extrinsic purpose. As such, leisure is the soul, the life principle of the university. Where scholē is gone, and with contemplation, meta-scientific is also lacking. In God, Philosophy, Universities, MacIntyre puts the matter most succinctly. To whom… in such a university falls the task of integrating the various disciplines, of considering the bearing of each on the others, of the nature and order of things? The answer is “No one,” but even this answer is misleading. For there is no sense in the contemporary American University that there is such a task, that something that matters is being left undone. And so the very notion of the nature and order of things, of a single universe, different aspects which are objects of enquiry for the various disciplines, but in such a way that each aspect needs to be related to every other, this notion no longer informs the enterprise of the contemporary American university. It has become an irrelevant concept.17 Is the practice of leisure and its intrinsic end, contemplation, a waste of time? It is exactly that. As Pieper has forcefully reminded us, leisure is the basis of culture. Without leisure, without that waste of time that escapes metric functionalization and managerial manipulation, in short, without the excess that contemplation always is, the university and the research it undertakes and the education it offers will be nothing but two-dimensional, that is, as flat as the blade of a circular saw, providing many cutting edges but no depth, or as ineffective as the razor scra­ping character from the rock. What gives a university and a university education depth and its unique dignity is what is in excess of “usefulness” (what the ancient would call “servility”). The artes liberals carry their end in themselves. And as such they always indicate the way of genuine academic freedom. It is the practice of leisure, however, that enables regular academic freedom to be realized as a freedom for excellence, which is nothing but a freedom for contemplation. I would hope that some of the Catholic colleges and universities in America at least will not only be found among those institutions of higher learning that defend the university’s third dimension but be first and foremost among those eager to return to this third dimension its original dignity and splendor. 2 Alasdair MacIntyre, God, Philosophy, Universities: A Selective History of the Catholic Philosophical Tradition, Lanham, MD, Rowan and Littlefield, 2009, 95. 3 Benedict Ashley, The Way Toward Wisdom: An Interdisciplinary and Intercultural Introduction to Metaphy­sics, Notre Dame, IN, University of Notre Dame Press, 2006, 20. 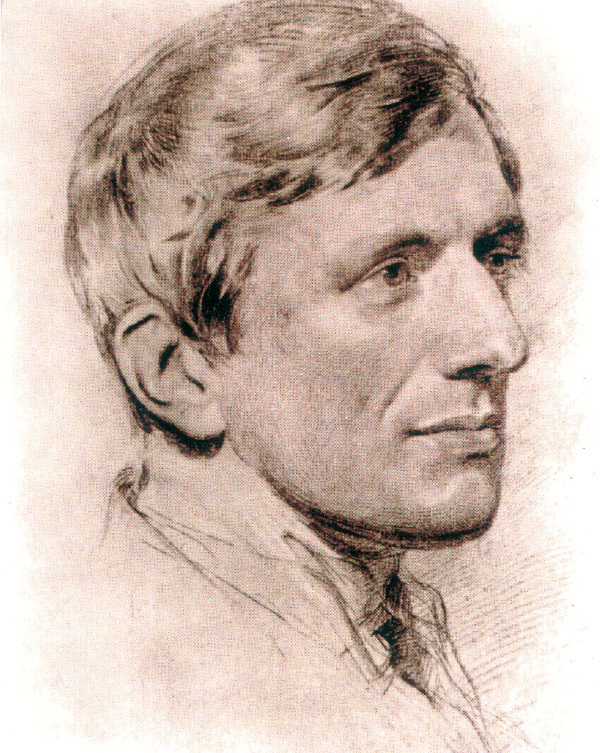 4 John Henry Newman, The Idea of a University, Discourse V, 8, http://www.newmanreader.org. 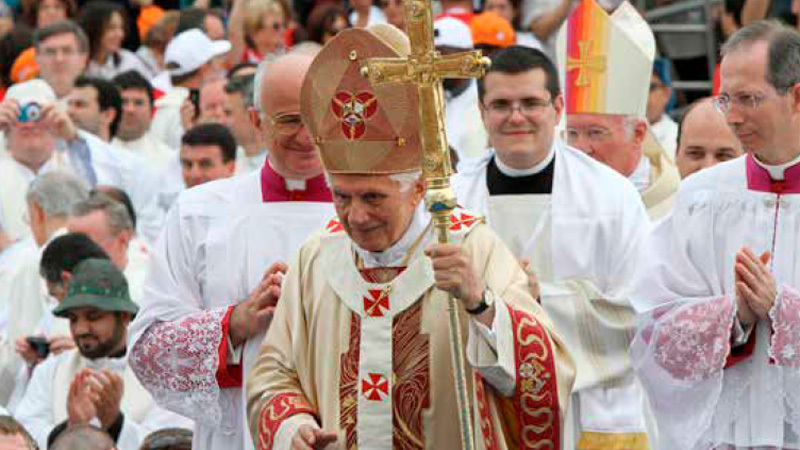 5 Benedict XVI, Lecture by the Holy Father Benedict XVI at the University of Rome “La Sapienza,” http://www.vatican.va. 6 Stanley Fish, “Are There Any Secular Reasons?” http://opinator.blogs.nytimes.com/2010/02/22/are-there-secular-reasons/?/. 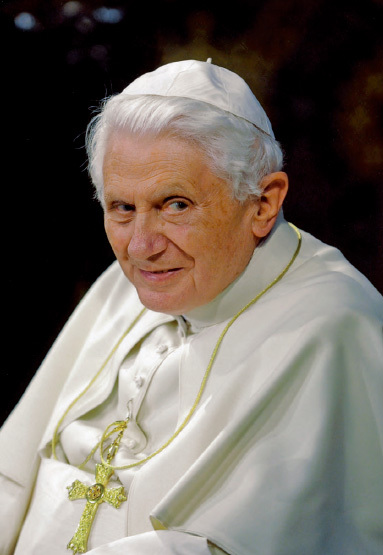 8 Benedict XVI, “La Sapeinza,” http://www.vatican.va. 10 MacIntyre, God, Philosophy, Universities, 95. 11 Joseph Pieper, Leisure: The Basis of Culture, San Francisco, Ignatius Press, 2009, 75. 12 Newman, Idea, Discourse V, 9. 13 Tom Wolfe, quoted in Mary Ann Glendon, “Off at College,” First Things 150 (February 2005), 41. 14 Benedict XVI, Meeting with Members of the Academic Community, Address of the Holy Father, Vladislaw Hall in the Prague Castle, September 27, 2009. 15 Thomas Aquinas, Summa Theologiae I, q. 58, a. 5. 16 ST I, q. 57, a. 5. 17 MacIntyre, God, Philosophy, Universities, 16. Normally the family communicates, almost by osmosis, the most basic moral experience. In its bosom each person, through the primary good of the affections, is “recognized” as such - the mother’s smile tells her baby: “it is good that you are” - and is opened to the future by a “promise” of fulfillment. From this promise a “task” arises that is played out in interpersonal relationships and in the exchange between generations. Here we have the three inseparable factors, “recognition – promise – task”, that are decisive for the life of every man. It thus appears quite reasonable that the Compendium of the Social Doctrine of the Church defines the family as “a community of love and solidarity, which is uniquely suited to teach and transmit cultural, ethical, social, spiritual, and religious values, essential for the development and well being of its own members and of society” (n. 238). And yet today, these abilities of the family that cause the person to flourish seem to be called into question. The volume Las sfida educativa [The educational challenge], a report on education published by the CEI’s (Italian Episcopal Conference’s) Committee for Cultural Projects, has analyzed this trend and highlighted the dramatic educational emergency that exists within and outside the family in various social contexts. The family daily finds itself having to face risky situations that require the fielding of values as well as personal and relational resources. However, these resources are not always readily available within the fragmented social context in which these same families live. The risk sometimes presents itself under the guise of a challenge, linked oftentimes to the need to reconcile work and family, which drives parents to invent repeatedly new reasonable and viable solutions for managing their time. The need to deal with social situations so uncertain in their outcomes is no reason for discouragement; indeed, it only confirms the urgency of the mission to educate. Even if at times it appears as an impossible undertaking, it calls upon the family in its very essence: to give life – not only biological, but fully human – to a new person, to a new generation. How do we support families in taking on a mission that not only affects the family circle, but also impacts the life of the entire society? First of all, by being aware that children are always children, i.e. generated, and that loving relationships with their parents (the progenitors) as well as family and intergenerational ties are therefore original and constitutive. Indeed, for the parents, for the grandparents, and for the whole family, each child is special, even if he or she is tried by fate in body or mind. In this perspective, the added value of the family is its ability to generate in a humanizing way, by offering children a sense of their uniqueness within an atmosphere of meaningful belonging lived out day by day. In other words, the family –that irreplaceable womb in which the identity of the child is generated and the humanity of little ones matures– is an essential resource for society. Given the breadth and depth of the task awaiting it, the family cannot be left alone: fulfilling or not fulfilling this task makes a difference in the very life of society. It is therefore urgent for the family to be joined by other agents who, recognizing its primary educative role and value, make a pact among themselves. What I have in mind is an educative alliance in which the educating subjects – family, school, those who are active in the community – are enabled to act cooperatively according to the logic of subsidiarity. Their roles are distinct, but the objective – a humanity strengthened and an increase in free and secure personalities - is shared. The great problem discussed nowadays is not “how” to educate, but “if” it is still possible to do so.